Because we all need help from time to time. …and getting you help, getting you help fast, and getting help for you as often as you need it, is what Bedford is all about. We all have people we can rely on, but what if we can’t get a hold of those people? Not being able to get help immediately can mean anything from frustration and inconvenience to being in a life-threatening situation. We can’t always rely on a landline or a cell phone because it may be out of reach or out of sight when we need help. What if we are taking a bath? We may not have the mobility or dexterity to fuss with a phone. The worst case scenario is to be unconscious so that calling for the help you need is impossible. Bedford’s Medical Alert Devices take those concerns away. We are all at greater risk of health concerns, decreased fitness and falling as we age. So, precautionary measures should be put in place to ensure our safety. Bedford is committed to you 24/7 to provide access to a Care Responder who will get you the help you need, whether it’s a quick visit from a neighbour for assistance, or Emergency Medical Services, should it come to that. A simple push of one button and you are connected to us. Our staff are all right here in Canada, like you, and are happy to help you as often as you need. Bedford is affordable because we believe that everyone should feel that extra layer of security, whether you need a lot of help, or if you just need the peace of mind that comes with knowing that help is there… just in case. Medical Alert Devices are for the independent active lifestyle too! There is a misconception that Medical Alert Devices are only for very elderly people with severe mobility problems. That’s not the case. There are many clients who just don’t feel safe living alone without someone there to call for help should any thing happen. We have clients who suffer from vertigo, are visually impaired and/or have chronic conditions that make them susceptible to falling. They live full and active lives but just want the assurance that help is there if and when they need it. One client said that her anxiety levels have decreased significantly since she has been wearing her device and it has made all the difference in keeping her active and confident. A Medical Alert Device can save your life! We can’t say enough about our full range of services including our commitment to providing you with 24/7 support for all your help requests. From calling your neighbour to assist you in a pinch, to providing GPS Location Services so that your loved ones, if you choose, can know your whereabouts at all times. However, the most important responsibility we have is to make sure that Emergency Medical Services can get to you when you need them. 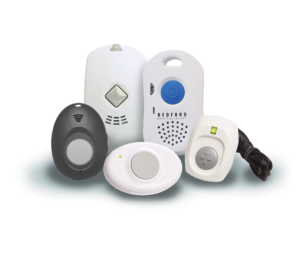 In the case of a stroke or acute health crisis, when time is precious and quick help is paramount, only our Medical Alert Devices can know that you are in peril with a press of the button on your pendant or a fall detected, activating our Care Responders protocol built specifically for you, by you. The help you want, and need, will be on its way. Medical Alert Devices can help with your recovery! 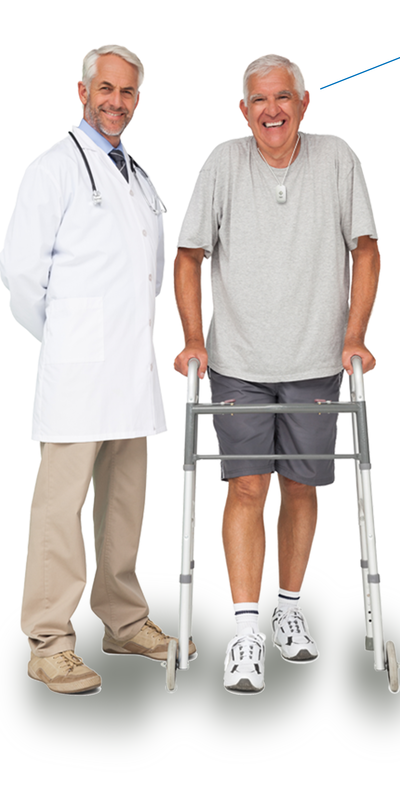 After surgery doctors will often tell their patients to stay mobile and active to improve their mobility and speed-up recovery. This can be difficult if you are feeling anxious about falling or even worse, falling and not being able to get back up, further risking your wellbeing. The Bedford Device can help with that, as it will give you more incentive to get mobile. It also works to keep your contacts on hand should you need assistance at home. With the press of a button, you can speak directly with a Bedford Care Responder who will contact anyone you request to come over and help with the little things as you get better. If you can’t speak during an emergency situation, we will follow the emergency protocol we customize for you. Medical Alert Devices are not just for you, they are also for those who care most about you! Technology has come a long way and Bedford offers the most innovative technology available today. With the advancement of Fall Detection Science, GPS Geographical Locators, and Boundary Monitoring, we offer our clients and their loved ones virtual monitoring and access to help, 24/7. You will never feel alone, even when you are by yourself, because Bedford is there for you. Your loved ones will feel better knowing that you are ok. They will also feel better not having to panic if you don’t pick up your phone from time to time, since you can set up your Device to show them your whereabouts at all times through our GPS Locators. 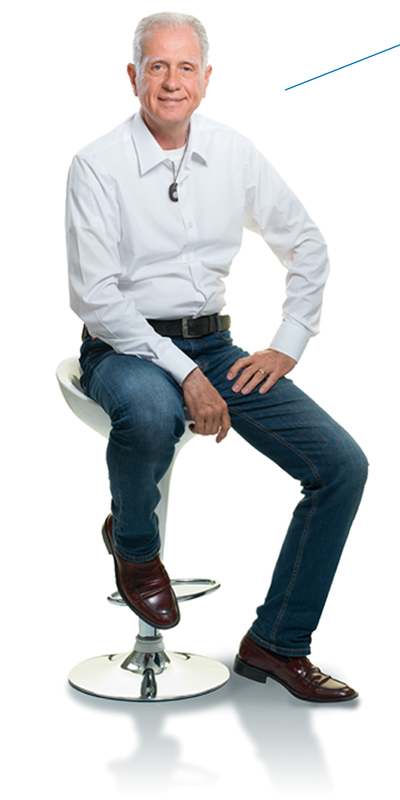 When they call or text, you can talk about more than just where you are and whether or not you’re ok. A son of a Bedford client wrote in to say that because of his mother’s Bedford Device, he feels like he is there even when he’s not. He is assured that she is safe which gives him more worry-free flexibility between visits. Unfortunately, falling is inevitable as we age. 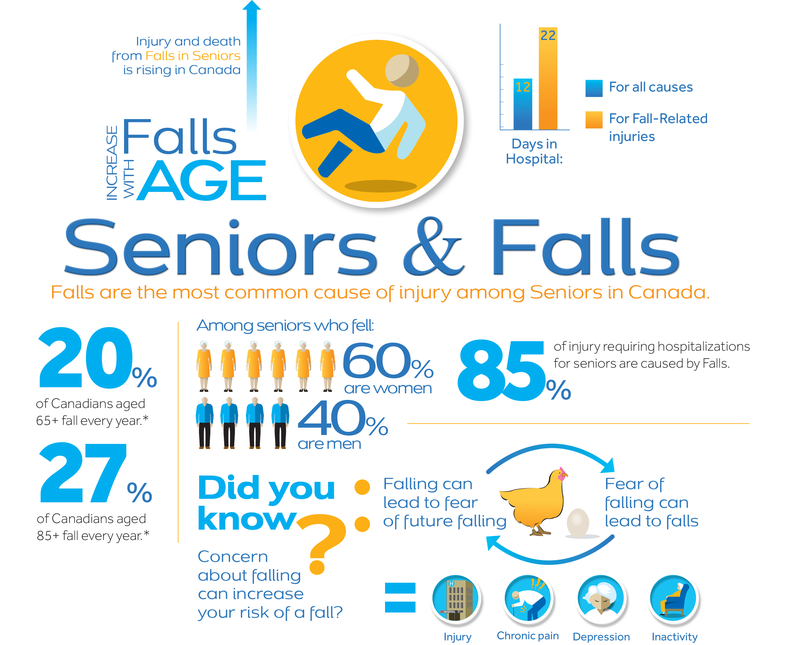 Studies show that the fear of falling contributes greatly to causing falls. This fear can lead to a sedentary lifestyle that can result in weaker muscles and bones and therefore, makes you more susceptible to falling. It can also make us move tentatively and cause anxiety which is the psychological effect that leads to a higher risk of falling. Many seniors who live alone or spend a lot of time alone have a heightened fear. Staying mobile and having a Medical Alert device that can send help as soon as you need it is the best course of action to keeping falls at bay. Not having to wonder is…wonderful! So many Canadians are the primary caregivers for their parents. That takes up many hours and subsequently loss of income or vacation time. What if you had something that lets you keep tabs on your parents, check in on them and be reassured that they are ok? Sound wonderful? Our Medical Alert devices do just that. Seniors over 65 represent 17% of Canadians and our Seniors requiring continuing care will rise by 71% by 2026. Our aging population have longer lifespans, and with strained social services, the children of these seniors are often their primary caregivers. This eventually takes a toll on caregivers. 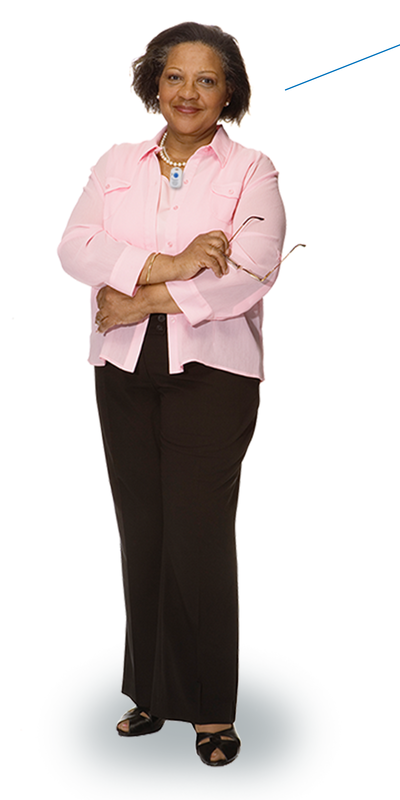 Reports have shown that many of these caregivers are stressed to the point of breakdown. 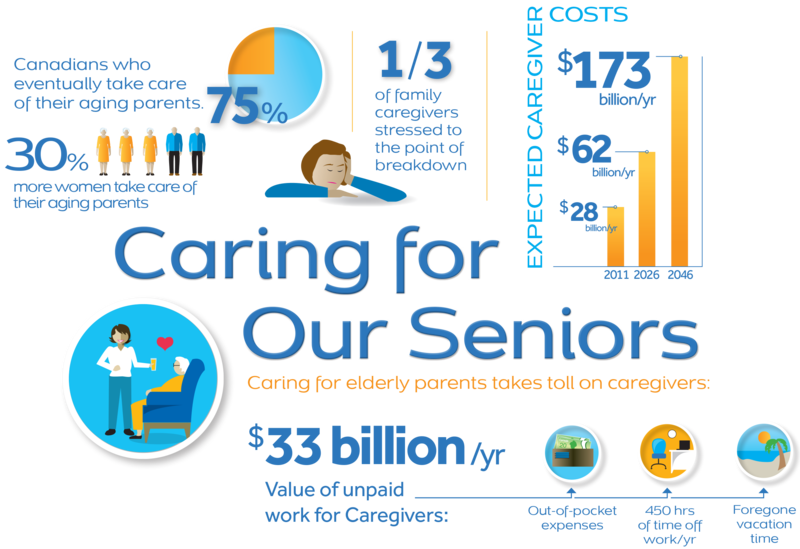 The cost allocated to looking after their parents is estimated to be $27 billion in out of pocket expenses, lost income and vacation time. Many of these caregivers experience worry and guilt for the time they are not able to be there and find it extremely difficult to balance life, work and care giving. With the advances in Medical Alerts, children of our Seniors can rest assured that they can utilize GPS tracking to know where their parents are, that falls can be detected remotely and that they can rely on the 24/7 Help Response available to their parents should they need it. A Medical Alert Device can monitor your loved one when you can’t be there. Call 416 921 9977 or 1 888 755 3055 to learn more or click on the button below.